Directly on the heels of their first case, Miss Lane and Mr. Jesperson are confronted by a man looking for them. He dies on their front steps crying "Witch!" and Mr. Jesperson isn't satisfied with the London coroner pronouncing it heart failure when the man looked healthy. Tracking his brother down, they are hired to look into the circumstances surrounding his death and discover a little more in the countryside than they had thought they would. This is another outing for Di Lane and Jasper Jesperson, so if you enjoyed the first novel as I did, this is a welcome return to the duo. They're friends, but the mores of the time mean that there is opposition to their presence in the countryside. 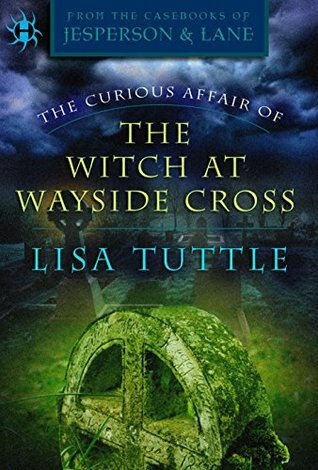 The fact that Miss Lane is just as inquisitive as Mr. Jesperson also doesn't sit well with the conservative vicar's wife, though it also means she has an opportunity to get closer to some of the suspects in the investigation. She's not above using the misconceptions of others to her benefit, but it also means that much of the clues we hear about in her discussions with Mr. Jesperson comes across as a deus ex machina. That does seem in keeping with the Holmesian style of mystery that this is, though. There are actually two mysteries interlaced together, as a newborn goes missing while the duo are in the countryside, and it's tangentially related to the reason why they even arrived in the first place. That mystery is weaker than the search for Charles Manning's last days and why he died, and it feels as though it was simply there to fluff out the plot. It isn't a bad side story, as it is somewhat related, but distracts from the main plotline. It might be there to add some mystery about who the titular Witch would be, but it didn't feel as dramatic to me.